Sleep Paralysis Stories: Demons Or Just Sleep Hallucinations? 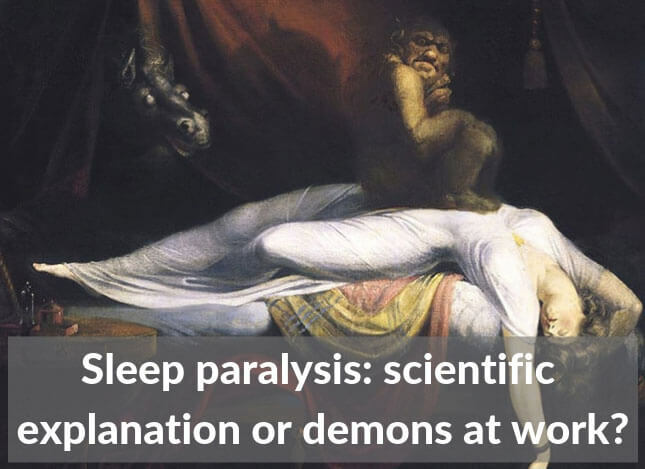 Sleep Paralysis Stories: Demons Or Hallucinations? Sleep paralysis stories typically involve unusual and frightening experiences. Perhaps you have one or two of these disturbing tales of your own to tell. If not, I’ll first share one of mine to give you an understanding of what it can be like. Then we’ll take a closer look at whether sleep paralysis demons or ghosts really exist. Or if science can provide a logical and comforting explanation. Imagine the following scenario: it’s been a long day, you go to bed later than usual and fall asleep quickly through sheer exhaustion. But instead of waking up peacefully in the morning, you half wake in the middle of the night. And in the darkness of your bedroom, it slowly dawns on you that you can’t move your body…and that someone, or something, is watching you. You feel a weight on your chest, pressing you down and preventing you from sitting up. And not only is your whole body paralyzed, but you can’t so much as move your lips to call out for help. You’re not sure who or what is pushing on your chest. It’s too dark to see. You just know there’s a presence there. Something strange. Something frightening. This happened to me last year and was a very unsettling experience. Fortunately, there was no demon, ghost or burglar in my bedroom. After a minute’s panic, the feeling passed. And I was then able to stumble to the bathroom to make sure my face wasn’t decorated with demonic symbols. It was a classic case of sleep paralysis. Recurrent isolated sleep paralysis is classified as a parasomnia, which is a group of sleep disorders involving unwanted behaviors that accompany sleep. The main symptom is being awake and unable to move your body. It might also be accompanied by hallucinations or dreams/nightmares whilst still awake. It typically lasts from a few seconds to a few minutes before movement is regained. And although it may feel like it at the time, it’s not believed by medical organizations to be harmful. The exact reason for why it happens to some people and only on some nights isn’t known. However, scientists do have a theory about what goes on during sleep paralysis. During the night, you cycle through different sleep stages. When you enter the REM stage of sleep, your brain stops your muscles from moving – known as REM atonia. One explanation for this atonia is that it prevents injury from acting out your dreams in bed. During sleep paralysis, the atonia starts, or continues, while you’re awake. And during this time, you might also experience what’s known as sleep hallucinations, or dreams while you’re awake. So your body and brain are temporarily out of sync while transitioning between sleep stages, potentially creating a frightening experience. Sleep scientists believe that sleep paralysis may occur when the transitions in and out of REM sleep and other sleep stages don’t go smoothly. How many people experience sleep paralysis? 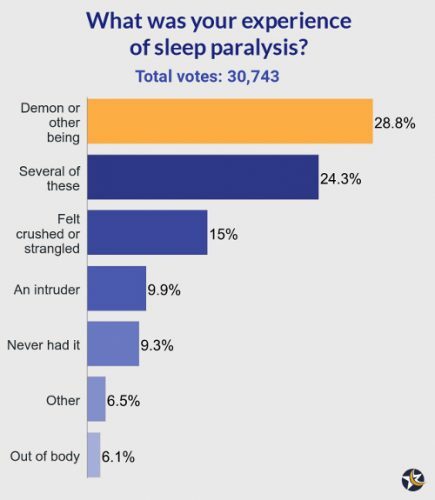 Who is more at risk of having sleep paralysis? Scientists might not know the precise reason only some people have sleep paralysis yet, but there are a growing number of risk factors becoming apparent. Sleep problems, changing sleep patterns and shift work. Sleep disorders such as narcolepsy, obstructive sleep apnea, insomnia and nocturnal leg cramps. 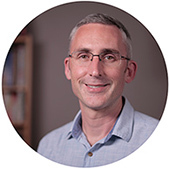 Some psychiatric groups, particularly those with Post Traumatic Stress Disorder, anxiety and panic disorders. Is there a genetic component to sleep paralysis? I polled readers of this article for a year to find out what kind of sleep paralysis episodes they had. Note that it’s likely that many people who search online about it will have had the more frightening episodes, skewing the results. But they still provide a fascinating insight into what people experience and how they cope. In poll 1, the most common episode was thinking there was a demon or other being in the room. 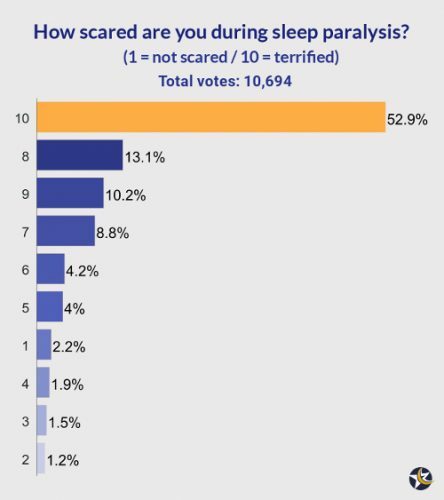 Poll 2 shows that many readers find sleep paralysis terrifying. Again, those who search online for it are likely to have found it particularly disturbing. 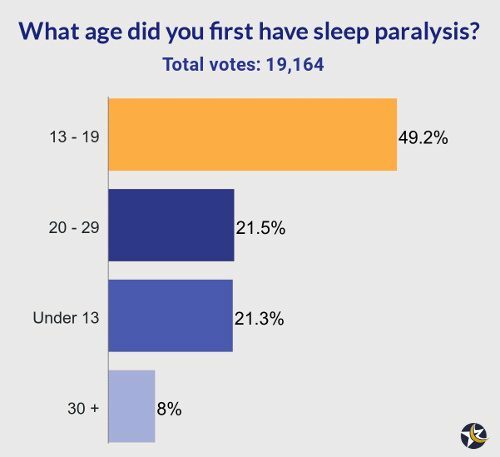 Poll 3 shows that many readers first experienced sleep paralysis during adolescence. 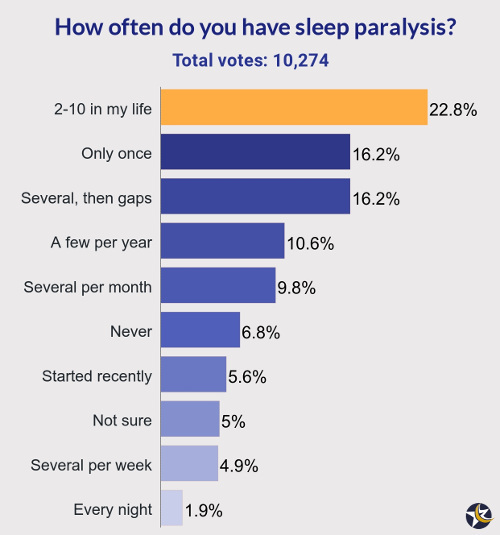 Poll 4 shows that most readers don’t experience sleep paralysis on a regular basis. Poll 5 shows some of the ways readers deal with episodes. You’ll find more coping mechanisms below. Since first writing this article 7 years ago, there have been an extraordinary number of comments. The comments show that not everyone accepts the scientific explanation. And interestingly, that some people struggle to accept it even though they want to – such is the realistic nature of their experience. The possibility of demons, ghosts, spiritual beings and aliens all crop up from time to time. And while many people accept their experiences as hallucinations or dreams, some people choose to believe another explanation – that those beings are real. Despite these beliefs, there’s one clear theme: nothing bad ever actually happens, other than being frightened and perhaps losing some sleep after an episode. In Fiji, the demon is sometimes seen as a deceased relative coming back to discuss an important or unfinished matter. In Chinese folklore, it’s also seen as a ghost rather than a demon or intruder. Some people in Iran and Pakistan interpret it as demons or spirits taking over your body. This could be due to black magic performed by an enemy. The common theme is that the entity is usually something to be feared. I’m yet to find a culture which believes it’s a friendly creature! Fortunately, most people don’t experience sleep paralysis very often, and no treatment is usually required. You’re anxious about sleep paralysis and going to sleep. You feel very sleepy during the day, sometimes fall asleep suddenly or lose control of your muscles. Refer you to a sleep specialist to assess if you have another sleep disorder, like narcolepsy. Treat any underlying psychiatric condition. Discuss any medication or substance use that might be a factor. Explain the biological processes involved in sleep paralysis to reassure you. Talk to you about developing good sleep habits. This is thought to help reduce the frequency of sleep paralysis. 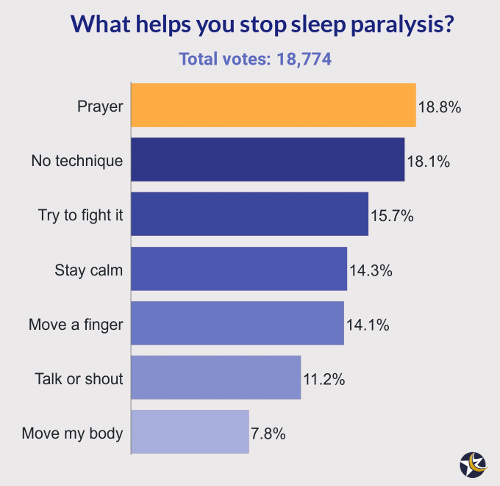 Over the years, many readers have left comments explaining how they cope with sleep paralysis, and I’ve created a list of the most frequent ideas below. Don’t let yourself become sleep deprived. Try to reduce stress and anxiety in your life. Focus on wiggling just one finger or a toe. Don’t take recreational drugs or drink alcohol in the evening. Tell yourself that you’re in control. You can order the experience to stop. If you feel a weight on your chest, imagine there’s something friendly causing it. Film yourself sleeping so you can see there was nothing in the room. Don’t think about what it could be. Your imagination will probably make up something scary in the darkness. Organize your bedroom in a way which makes you feel safe and secure. Don’t hang dressing gowns, coats or hats in places which look like figures in the dark. Sleep with a night light, music or radio on. Remind yourself that nothing bad will happen. Imagine your body rolling from side to side in your mind and count each roll. Focus on this and try to grow the capacity for movement from there. Count numbers to focus your mind on something else. Don’t sleep with a high pillow. Keep your eyes shut and try to clear your mind. Squeeze your eyes tightly shut if you can control the muscles. Keep well hydrated – drink water before going to bed. Talk about it to family or friends – they may have experienced it too. If you have it once, get out of bed for a while to reset the brain. Many people say prayer helps. Some also say that calling on their religious beliefs and commanding what they see to leave helps them. Check if any sleeping pills or herbal remedies you’re taking are causing it. 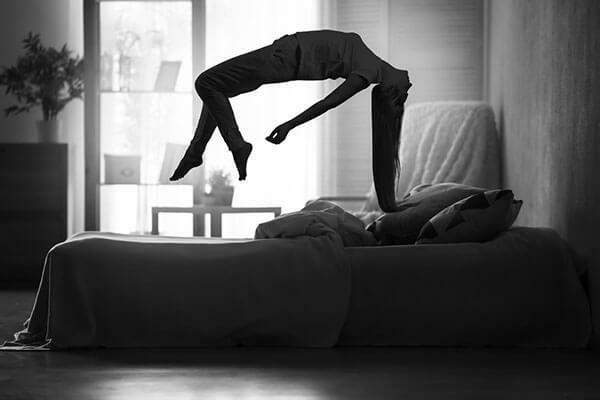 Use sleep paralysis to lucid dream by relaxing and going with the experience instead of fighting it. Once the episode has passed, tell yourself that you overcame it, are not afraid and will always overcome it. I successfully used two of the above techniques to stop a recent episode of sleep paralysis. I woke to find myself in a strange position with my arms crossed on top of my body. And I could literally feel strong hands pinning my wrists to my chest. I have to admit I was immediately petrified. The whole event was blurry, and I think I was having some dream overlap, but can’t remember exactly what now. Two things sprung to mind after a moment of panic: stay calm and try to wiggle a finger. The calmness I only managed with moderate success. But I did manage to focus my efforts on moving a finger. It felt quite odd – like my fingers were wiggling in different directions! Eventually, I felt my arms loosen as well, and soon afterward I was able to shake the whole sensation away as I regained full control. I then spent a few minutes doing some breathing exercises to ground myself and calm down, and then fell asleep again. I think just knowing about the finger wiggling technique was enough for me to remember it when the sleep paralysis occurred. Have you had sleep paralysis? What happened, and do you have any suggestions to help others deal with it? Please feel free to share your experience in the comments below.